I live in East London. I even worked at the Royal London Hospital a few years ago, so seeing it featured in The Order 1886 was pretty exciting. In my review, I said that the game is beautiful and filled with detail. It’s set in a fictional alternate history where automatic weapons were plentiful in 1880s and werewolves hid among the populace, but some locations are still clearly recognisable in London today. Quite rightly, the in-game hospital is known at The London Hospital. Its real-world counterpart was named this from 1748 through to 1980 when “Royal” was added to the title by Queen Elizabeth II. Here’s the main entrance from the game in October 1886. 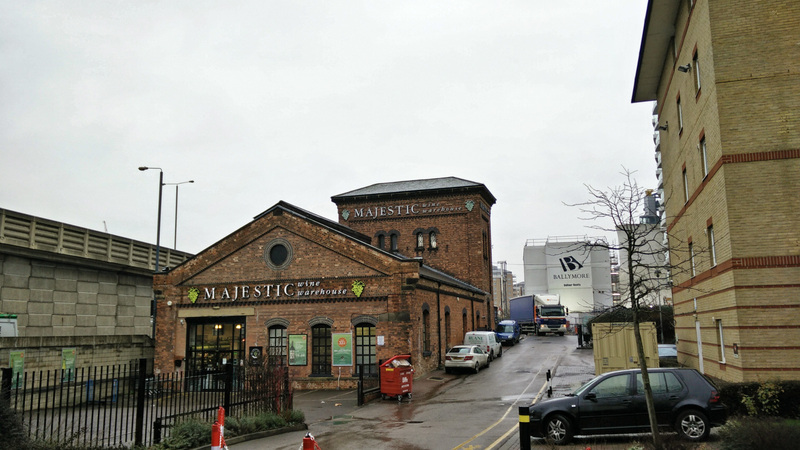 And here’s its real-life counterpart in February 2015. Last Monday, in fact. As you can see, Ready At Dawn have perfectly captured London’s depressingly grey skies. The overall structure of the hospital is almost identical, even down to the chimneys and the features on the west wing. Pretty impressive for a building that you see for maybe 10 seconds from various angles across a few chapters. On the central building, the older window on the left is a pretty good match to the ones in the game. The arches at the entryway are perfect and still standing despite the area being heavily bombed in 1940 and 1941. 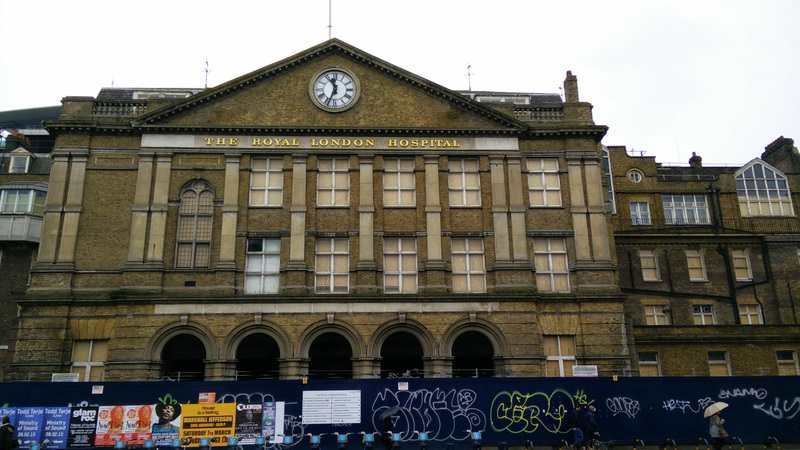 This building was the main entrance to the Royal London until a couple of years ago but is currently being refurbished so I couldn’t get inside to take photos. The London Underground opened in 1863 and Whitechapel station was established in 1876. Stations were, of course, far more glamorous back then with their fancy tiling and wooden furnishings. Here’s the in-game ticket hall. 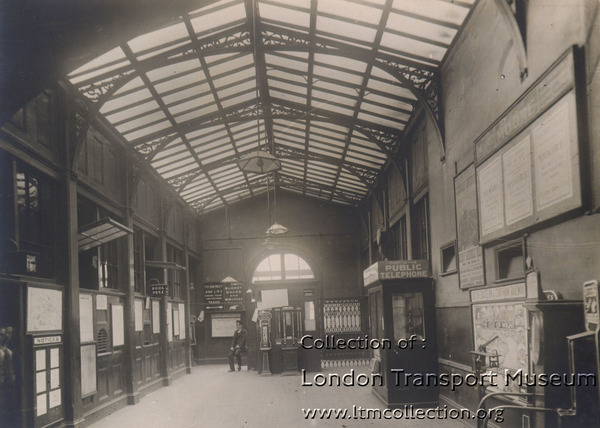 And, from the London Transport Museum, a photograph of the real lobby back in 1927. Here’s the present-day ticket office, just inside the entrance across from the Royal London Hospital. Looks like the green pillars on the far wall could be the same as in the 1927 photo. Fewer mauled bodies in the hall, thankfully. In the game, Galahad and Igraine enter through a side entrance, walk through the ticket hall, travel underground and exit the station through a set of escalators from a small foyer. 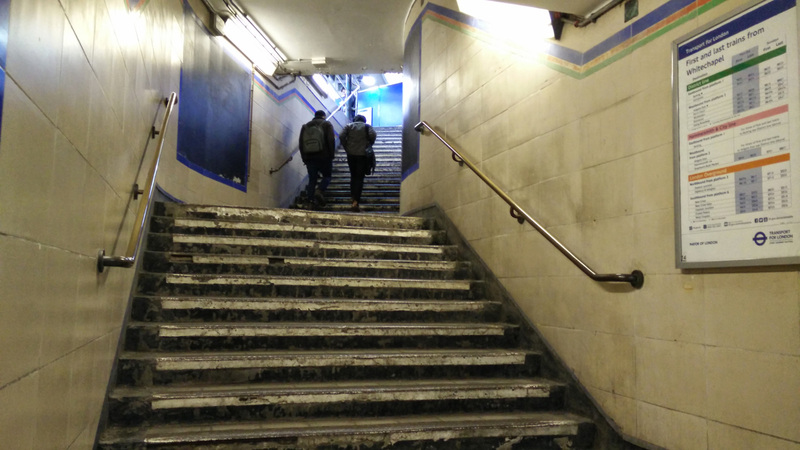 In present-day Whitechapel, the ticket hall is just a few feet below ground level and there are no longer any escalators in the public areas of Whitechapel Station. Instead, Londoners walk up and down these lovely things. That said, the London Underground did have plenty of wooden escalators similar to the one in-game. Most of them were removed after 31 people were killed at King’s Cross St Pancras station in a fire that spread from the wooden escalators. 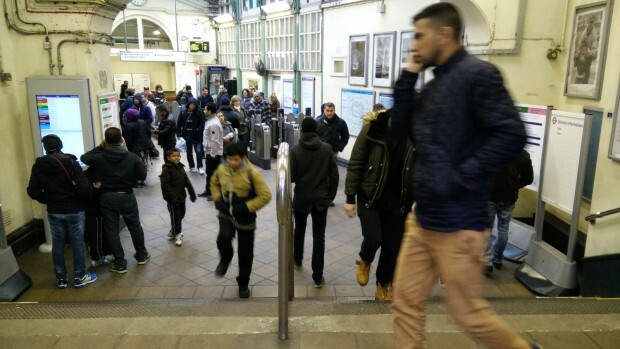 The last wooden escalator was retired only last year, having served Greenford station since 1947. Later in the game, Galahad travels through a railway and visit warehouses in Blackwall Yard. This would have been inspired by the railway built by the London and Blackwall Company, which ran from 1840 until it was absorbed by London & North Eastern Railway in 1921. The original Blackwall station was demolished in 1946 and there’s no longer any trace of the railway line at Poplar or Blackwall. The area is currently served by the Docklands Light Railway (DLR). Here’s the warehouse that Galahad visits at Blackwall. Most of the Blackwall area has been demolished and is now residential. I explored the area a little and managed to find this warehouse in Poplar, next to the current Blackwall DLR station. 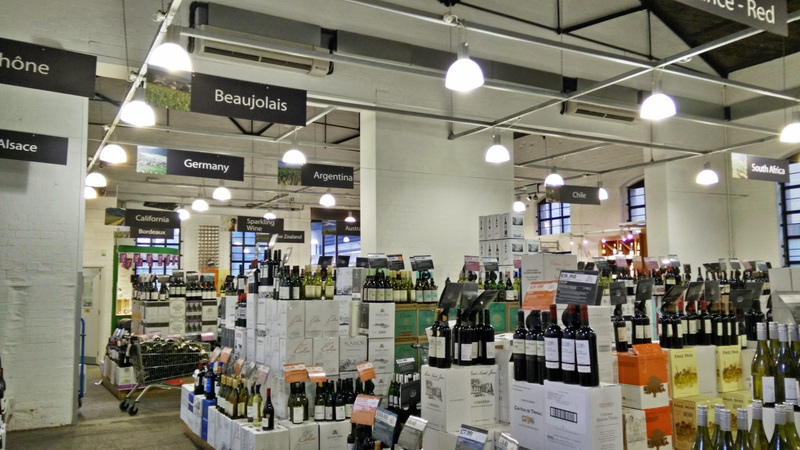 Glad to report that I did not encounter any werewolves roaming the aisles. And finally, not in East London but the game also prominently features Westminster Bridge with a view of the Houses of Parliament. The current bridge was opened in 1862 and the one featured in the game looks remarkably similar. There are at least two penises shown in the actual game, but Ready At Dawn wisely decided not to set the scene on a day with clear skies. This is what happens on the real Westminster Bridge. WOW that is amazing. a lot of similarities. I live in East London so it feels good visiting it in game. Too bad there isn’t enough games set in London.